When scanning the FM radio dial in any U.S. city you come across a wide variety of stations. In my city, if I want to hear oldies from the 50s and 60s I have a couple options. I can also listen to classic rock from the 70s, modern rock, alternative/indie rock, top 40 pop and hip-hop, and of course a variety of country options. If I am feeling particularly adventurous, I can check out mix stations that play popular songs from the last four or five decades. If I want to listen to Christian music I have several stations to choose from as well. Unfortunately, they all basically play the same songs over again and their entire catalog seems to be chosen from music released in the last six to twelve months. It’s as if there is a deliberate attempt to pretend that Christian music did not exist before last year. There also seems to be a mandate to play a very limited number of artists who for the most part play the same generic style of pop worship music. These stations are very proud of the fact that their music is uplifting, upbeat, positive, encouraging, and safe for the whole family. 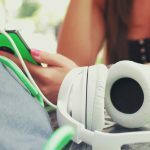 Sadly, it might prove difficult to find music that is challenging, convicting, original, or thought-provoking because those qualities might alienate some of their more easily offended listeners. Why do Christian radio stations seem to avoid anything challenging? Why do they often gravitate to easy and safe music? And more importantly, why do Christian radio stations and even Christian music listeners want to ignore their history? Regardless of whether you are a fan of the music that continues to be released in the Christian Rock or CCM genres, it is critical to recognize that there is plenty of great Christian music that has been made over the last several decades. Unfortunately, nearly all this music has been forgotten or ignored. We want to do our part to shed some light on this overlooked music. We decided the best way to do that is a series of short articles spotlighting different time periods and styles of Christian rock music. In Part One we covered music from the 1960s and 1970s. This article will focus on popular Christian rock of the 1980s and early 1990s. We are including a Spotify playlist that features songs from 1982-1993. This playlist is by no means exhaustive. While Spotify has a vast library of albums and songs they don’t have everything we would have wanted to include. We hope you enjoy reading these as much as we enjoyed writing them. 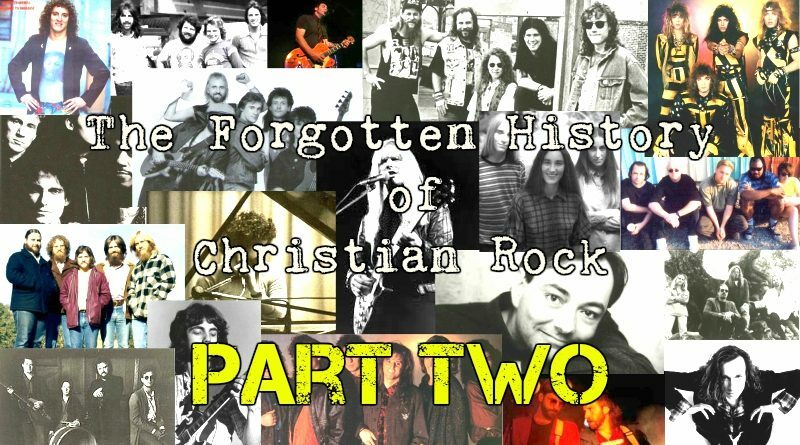 We give you Part Two of The Forgotten History of Christian Rock. The hair was long and flowing. The clothes were bright and garish, with neon, pastels, and spandex making frequent appearances. The music was big and bold – loud drums, big vocals, epic guitars, and keyboard and synth liberally sprinkled in for good measure. The early days of trailblazing and rebellion were gone. The banner-bearers of creativity and boundary-pushing were operating under the radar. The music that captured and defined the zeitgeist of the Christian rock scene in the 80s was unapologetically religious and unambiguously mainstream. It was safe rock and roll yet with enough edge and bite that it retained an element of danger and the allure of non-conformity. For the cool youth pastor, it was a dream come true. As seen in Part One, the 60s and 70s had the passionate trailblazers Larry Norman and Keith Green. 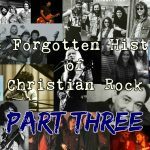 In Part Three, we will talk about the underground Christian music scene with counter-cultural geniuses like The Call, The Choir, and the 77s. 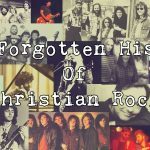 While those bands and many others like them were carving their paths by different means, the focal point of Christian Rock was happening out in the open for all the world to see. Bands like Petra and Stryper routinely sold out arenas that had previously been considered out of reach. Bands were selling hundreds of thousands and in some cases, even millions of records, getting serious radio airplay on traditional Christian radio stations and were no longer looked at as pariahs by the church as a whole. And their music made clear that the union of rock and roll and Christian ministry was the formula that worked. Most of the popular bands of this generation were overtly religious, eschewing subtlety in favor of on-the-nose messaging. This is not a criticism per se, simply an observation about the fundamental truth of the bands that reached the highest popularity during this era. They proclaimed Jesus, the Bible, and the Christian faith with no fear, no hesitation, and no reservations. To some, it did not represent real life in all its ugliness and complications. But to many, this music was a lightning rod for their faith – a boisterous and encouraging reinforcement for their spiritual journey. This era produced some of the longest-lived artists and bands in Christian music history. Degarmo and Key. Mylon and Broken Heart. Whiteheart. It was a time that saw Christian bands like Idle Cure and Allies continue down the path forged by the godfathers of the genre. These and many more were rock and roll enough for young people to flock to in droves, while still maintaining a sense of spiritual steadfastness that made them feel safer than anything the world had to offer. To be clear, the bands that thrived in this era did not do so with complete acceptance by the church. There were still many that attacked and criticized the bands for their hair, their attire, and their music. They were lambasted from the pulpit by more than one nationally televised preacher.1 While their path was easier than the generation prior, they still did much to smooth the road for the following generations of Christian musicians. They took the slings and arrows of an unwieldy and unaccepting group of believers, and they kept on moving, creating, and performing. We do well to remember the contributions during this era. Our Church and musical heritage demand as much. Enjoy this playlist that will serve as a quick snapshot of the sounds and the styles of the most popular Christian bands of this era. In particular, pay special attention to the musicianship and artistry at play in many of these songs – something that seems to be missing from much of the current Christian music scene. Finally, we hope you will allow one minor indulgence. We have included a couple of songs by Rich Mullins on this playlist even though we realize he does not exactly fit the profile of the bands and artists we covered in the article. We just strongly believe that his music deserves to be remembered and this playlist was the best fit. This is Part Two of a five part series exploring the history of Christian Rock and Roll Music. To read Part One of the series focusing on the pioneers of the movement in the 1960s and 1970s click here. To read Part Three covering the visionary bands of the 1980s and early 1990s click here. To read Part Four covering the music of the late 1990s through the early 2000s, click here. To read Part Five recapping the series and introducing readers to the new music being created today, click here. Thank you so much for reading. Please feel free to comment below. Great series and trip down memory lane. Dana Key answered Jimmy Swaggart with this book. http://amzn.to/2mZ0poP I think I’ve still got a copy somewhere! How about Golgotha and Valor? Some of the first original Christian thrash genre. Valor still has a following in South America and are possibly reforming. Mid to late eighties and early nineties! There are a lot of bands and artists we were unable to cover for this series. We tried to focus on the more mainstream stuff – and thrash metal just didn’t seem to fit. I do remember Golgotha though. A lot of these bands are still very popular in South America. Guardian has re-created itself by releasing multiple Spanish language albums and performing in South America a lot. No U2? Lol? I really like this article series. Someone should do a documentary on this too. Our primary focus was on the bands that operated firmly in the Christian Music scene. U2 was beyond that. Plus I don’t think most people have “forgotten” about U2. The Call was routinely outside of the Christian market. One of the great crossover bands. I never considered them a “Christian” band, though their lyrics left little doubt. And sadly, they aren’t really remembered and celebrated by either side now. That needs to change. The Call is covered in part 3 of this series. They also show up a few times on the Part 3 playlist. I generally listen to Christian groups such as Petra I like some of the artists of today such as Third Day and went to a Newsboys concert last year but I don’t get into many of the others even solo artists. Maybe I’m just old school but the Christian music yesterday challenge and encourage me. I too love Christian music and long for the classics of the 80’s and 90’s. I own much of that music from those eras. Steve Green, Sandi Patti, Amy Grant to White Heart, Rez Band, Petra, Stryper and everything in between. To name a few more, Adam Again, Steve Archer, Morgan Cryar, Jon Gibson, Koinonia, Jars of Clay, dcTalk……Needtobreathe, Mandisa, Blanca, Group 1Crew, Mercy Me….. hundreds more not mentioned. I’ve found Google music app or radio stations do have and play these wonderful almost forgotten artists. Not promoting, just informing. Amazon music is another. Subscribing will get you more but free is pretty good. I am curious why you chose those specific songs from the extensive library of those musicians. I love them, and some of my absolute favorites are on this list. Were they chosen for lyrics, music, musical innovation, etc? I guess I was hoping for a few sentences explaining each of the songs and their relevance to your argument. I think the most important reason we chose these particular songs, for most of them at least, is that we just really love them. We tried to pick songs that represented the styles and sounds of the time. We tried to pick songs that represented the messaging – strong Christian doctrine. But most of all, we picked songs we enjoy listening to. I thought about saying a few things about each song, but once we knew we would have nearly 40 songs on the playlist (and we could have added so many more) that became unrealistic. The article would have been much too long for most people to read. Maybe some time down the road we can go through these playlists and share some specific thoughts about some/many of the songs. Thanks for your comment. Help us spread the word by sharing this series of articles with your friends. We rely on word of mouth for readers. I love this. Thanks for your comment. White Heart is my favorite band of all time as well. Even to this day. I’m working on an article completely devoted to their music, which will publish after we are finished with this series. Thanks for reading. That’s cool! 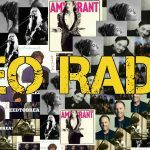 A lot of people did and now they seem to be forgotten in the public sphere, though these REO articles have proven a lot of people remember and remember them well. I look at it as the church doing what it can to teach the present world it finds itself inside of. I just feel there were some really good songs during the 90’s, some of which touched on deeper and somewhat darker places. Songs like Frail by Jars, some of The Waiting’s songs and one could argue that Sixpence reached into the LGBT community somewhat, maybe without exactly meaning to and even groups like P.O.D., Project 86 and those that played to the metal kids who had edgier kids. Rap happened and DC Talk and The Grits were there to reach those kids. I think there just have to be Christian bands willing to go to grittier levels. The “holier than thou” attitude is what Jesus fought with as he called the Pharisees “brood of vipers”. “Let’s get dirty, let’s get used, no matter where you come from, if you’re beaten or bruised, let’s get foolish, let’s get free…” – from Get Dirty by Audio Adrenaline. Thanks for the comment John. Some of the artists you mentioned will be covered in part 4 of this series. Did I miss the 3rd installment of this? I’m listening to “Tales of Wonder” by Whiteheart. I know I am biased. I get that. But I listen to this album and then I listen to stuff being played on Christian radio and it just makes me sad. Every song on this album charted on Christian radio and not one song from this album would ever be played on most Christian stations now. The songs are too musically diverse, too creative. Even if you don’t care for the style of the early 90’s rock, you can’t listen to songs like “Who Owns You” (which made this playlist) and not see that the artistry and musicianship was just so much better back then. Everything now sounds so flat – so processed – so lacking in any artistic expression. At least the stuff that gets played on the radio. And that doesn’t mean the songs that are played are bad – it’s just that they are simply bland. This is so true. I heard a song the other day on a local Christian radio station. I won’t mention the artist’s name, but the song sounded like it could have been performed by just about any of the top artists currently played on Christian radio and it would have been exactly the same. There was nothing distinctive in the vocals, the way the instruments were played, the time signatures, anything. It sounds like it was produced and mixed by the same person in the same studio as virtually every other popular Christian album. We can do better than this! What are your area of interests? Facebook annd my follkowers loved it! Keep upp the good work!!! Thanks for the kind words, Octavio. Glad you enjoyed it.